Achilles tendonitis can be said to be an injury caused by the excess use of the Achilles tendon that consequently results in deterioration, pain or swelling. This tendon is a group of tissue that connects calf muscles (gastrocnemius and soleus) to your heel bone. So it is the Achilles tendon that causes extension of the foot, whenever the muscles contract. Runners, who make sudden decisions to increase their training duration or intensity are even more prone to this condition. Finally, if this tendon is not well protected with the right shoes and other preventive measures until full recovery, the tendon may even rupture. The pain that the Achilles tendonitis condition causes can be quite unbearable and certainly gets worse if neglected. To start with, having the best running shoes for this condition is one of the best ways to gradually heal the inflamed tendon, while also doing something that you simply love – running. This running shoe is the best neutral high-cushion shoe for those suffering from Achilles tendonitis. For the reason that it comes with a prominent midsole drop of 12mm, that relieves the pressure on your tendon by giving you a great fit, support, smooth transitions and a high drop. Ghost 10’s BioMoGo DNA midsole has an adaptable cushioning that gives you a comfortable pace with each stride. This shoe’s ability to handle a lot of strain comes from the engineered mesh that offers proper ventilation and flexibility. 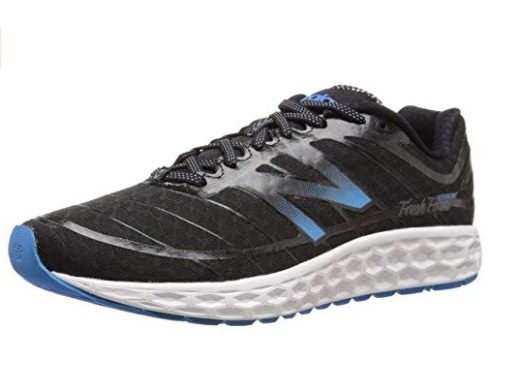 As a result, any runner who longs to be healed from Achilles tendonitis will love the fast relief from soreness and pain that this shoe offers. First of all, this running shoe is very flexible and is of great benefit to runners with Achilles tendonitis. That’s because this lightweight and high drop shoe gives your tendons the good feel required to recover fast. 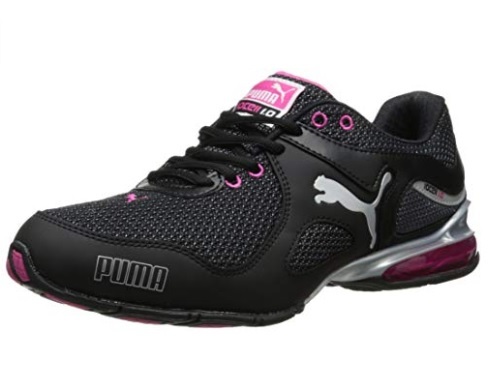 More so, this shoe offers one of the best underfoot feel and heel support. Now that’s something your money can buy and will also last you a very long time. 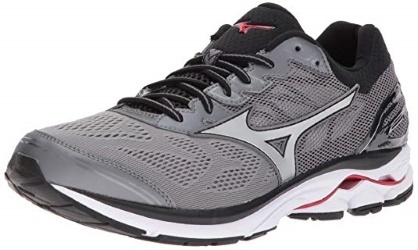 Likewise, other features of Mizuno Wave Rider 21 are good responsive ride and shock absorbance for short-distance runs and brisk walks. However, the major downside of this shoe is its poor cushioning. First of all, this running shoe is made of a cell technology that’s designed to make your running pleasurable. Its highly padded interior gives your arch the good cushioning that it needs for fast recovery from Achilles tendonitis. Also, it fits rather snugly because of its EcoOrtholite sock liner and has a level of traction that supports performance. Finally, the single integrated cell footbed feature of this shoe gives the foot fast relief from this condition as well as protects it from injury. 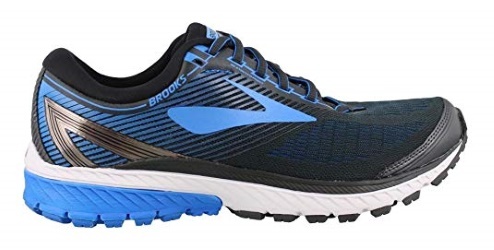 This running shoe is designed for any runner looking for great cushioning, lightweight responsiveness and shock absorbance. Above all, the convergence gel cushions you well enough while absorbing impact, combining with a seamless construction that protects from friction and irritation. Also with the guidance system provided by this shoe, your forefoot and rear foot will have the perfect gait. It has a special Asics High Abrasion Rubber outsole that gives you the much-desired traction and durability. 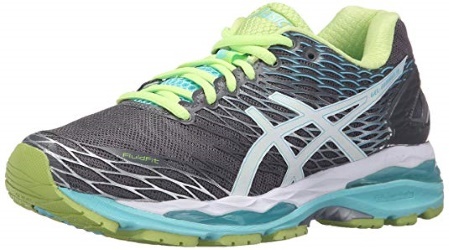 For great midsole compression, flexibility, energizing cushioning, plush tongue and collar, road adaptability, and fast relief from Achilles tendonitis, get Asics Gel Nimbus 18. This running shoe is one of the best choices for runners with Achilles tendonitis for the reason that it is affordable and durable. This shoe offers comfort, suppleness, safety, and arch support. Above all, with a variety of styles and colors to choose from, you can also look stylist while you run. Also, you can run as much as you want without straining the Achilles tendon. It fits rather snugly because of its terrific lacing system and is light enough for speed and a proper gait. This running shoe is known for the support that it gives and is therefore loved by runners having problems with their Achilles tendon. Also it is highly acclaimed for its superior midsole and external heel. Also, it is lightweight and as a result offers the desired support required for running long distances. Therefore, if you are looking for enhanced energy return, support and protection from falling, get this really good shoe. 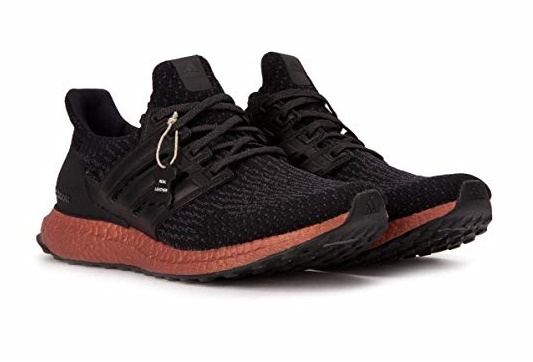 That’s because everything you need for maximum cushioning and proper landing is in this Adidas Performance Ultra Boost Running Shoes for Men and Women. This running shoe offers unbeatable features for various runners, not excluding those with Achilles tendonitis. Sturdy and well-built, this shoe can withstand constant training, workouts and fast-paced running. Its refined upper and segmented rubber role offers flexibility, responsiveness, and comfort for a very long time. With a midsole that has a zoom air unit for lightweight and responsive cushioning, this shoe really has a lot to offer runners. Above all, its well-padded heel is made of a fabric that is soft and gives your heel a perfect fit and its reinforced lacing panel is transparently laminated to prevent fraying. 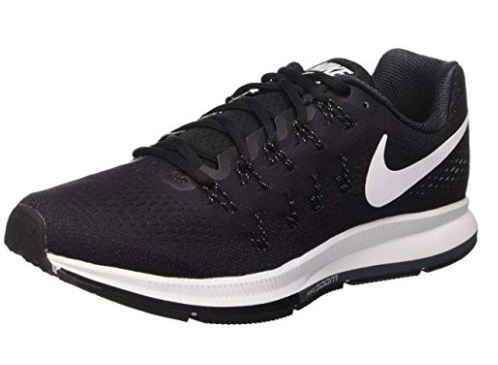 First of all, this running shoe offers a balance of both comfort and support, making it the best running shoe for the treatment of Achilles tendonitis. Above all, a well-placed midsole made of foam absorbs shock and impact. Also it uses its ortholite-made shoe bed to give you great speed and gait. Finally, this shoe made of durable fabric and stretchable mesh for proper ventilation is snug and reliable and offers you long running hours without discomfort, pain or slips. 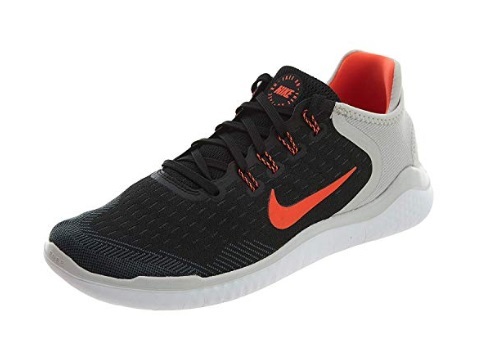 First of all, this running shoe is made of very high quality materials and provides the tendon with sufficient cushioning to quicken the healing process of Achilles tendonitis. Made from nylon and synthetic, this shoe offers breathability and keeps your feet dry and healthy during and after every race. Above all, the sock liner is replaceable, and its midsole is well cushioned and comfortable. Also this shoe offers a reflective outsole so that the runners can run comfortably, irrespective of the time. Finally, it has molded triangular pillars that probably provide further cushioning while absorbing shock and impact. 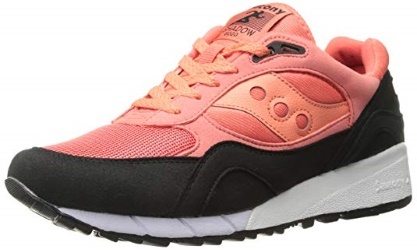 As a result, this is the perfect shoe for all feet type and it is quite affordable too. TPU, and antimicrobial agents to keep your feet well-ventilated and to protect them from infections and odor. It also has an adjustable traditional lace closure with adequate elevation. Above all, the EVA-foam midsole and footbed guarantee that shocks and impacts are well absorbed, so the traction is great and comfort is optimal. Also for those looking for machine-washable, long distance running shoes, Merrel Women’s Bare Access Arc 4 Trail seems to be the perfect choice. There are plenty of reasons why a runner or someone who is active may experience Achilles tendonitis. The following are some of the most common causes. It is important to take note of the following signs or symptoms to see whether or not you are suffering from Achilles Tendonitis. There are several ways to recover from Achilles tendonitis, it however requires a lot of patience and consistency before complete recovery can be achieved. First of all, you need to know the qualities of the best running shoes for Achilles tendonitis because there are many products in the market that claim to ease the pain. However, such products making tall claims may not necessarily ease the pain inflicted upon your heels by this awful condition. It seems like the only way out is to get the right shoes for this condition, to ease your discomfort during recuperation, speed-up recovery and also to put a stop to its recurrence. On the other hand, getting the wrong shoes will invariably make this condition worse. The heel should be well cushioned – The best running shoes for Achilles tendonitis would be one that’s rightly cushioned to offer comfort. That’s because cushioning that’s too soft or too hard could worsen your condition and make it altogether very hard to run. The ball of the foot should provide adequate bending – The best running shoes for Achilles tendonitis should be firm enough. Also, it should only bend precisely underneath the ball of the foot so as to give you the proper foot movement. This must, in fact, be a priority for the reason that anything else will either cause Achilles tendonitis or worsen that condition. The heel height should be appropriate – The best running shoes for Achilles tendonitis offers enough room for your tendon to stretch while walking or running. That’s essential for the reason that inadequate elevation could either put too much pressure on your inflamed tendon or complicate the problem. The arch support should be satisfactory – The best running shoes for Achilles tendonitis give the foot adequate arch support. So as to prevent further injury to your tendon and to speed up the healing process. The ankle collar should be appropriate – The shoes must have a very good ankle collar, for the reason that it enables mobility of the foot. Also, it is said to prevent fractures caused by shocking steps and wrong movements. The shoe should be flexible – First of all, the best running shoes for Achilles tendonitis should offer flexibility and stability in the right place. Above all, your tendon needs space to stretch properly for the reason that it is your shoe size that determines whether the tendon has enough room to do that. That little extra room certainly reduces the pressure on your injured tendon and speeds up the recovery process. So, you need to get the best shoes for your condition. The insoles should offer heel and arch support – The best running shoes for Achilles tendonitis should give the runner’s feet two basic things – cushioning and elevation for the reason that these two features give the runner the right heel and height support to run long distances without causing discomfort to the tendons. The shoe should fit perfectly – The best running shoes for Achilles tendonitis should fit you comfortably. That’s because, when worn for hours, tight shoes hurt and cause general discomfort. So, while loose shoes would be difficult to move around in, the tight ones also won’t serve the purpose. Therefore, your foot should be well measured, and the shoe must be tested before you purchase it, just to make sure that it fits perfectly. 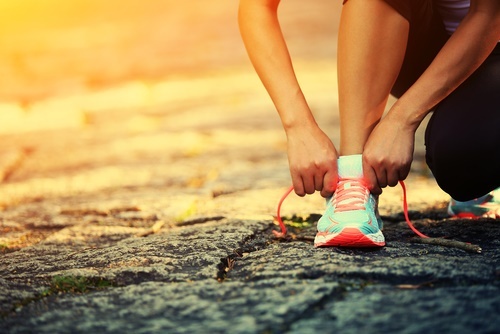 First of all, to figure out the best running shoes to soothe your Achilles tendonitis condition, you have to look for the type and model that will make you feel better and heal your achilles tendon faster. 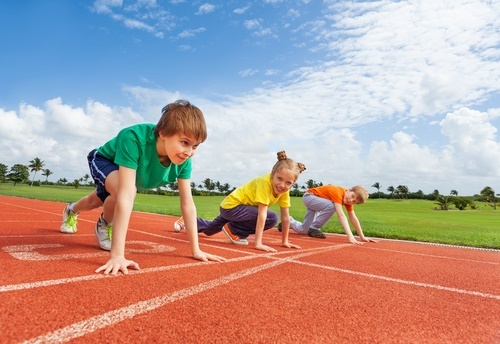 That’s because straining your tendons is likely to worsen your condition and keep you off the track for some time. Finally, the best shoe for achilles tendon would be one that offers maximum comfort, relieves pain and gives you an overall great running experience.